Foreman co-founded the MISL in 1978 with Ed Tepper and served as commissioner until 1985, and returned for a second stint from 1989-1992. 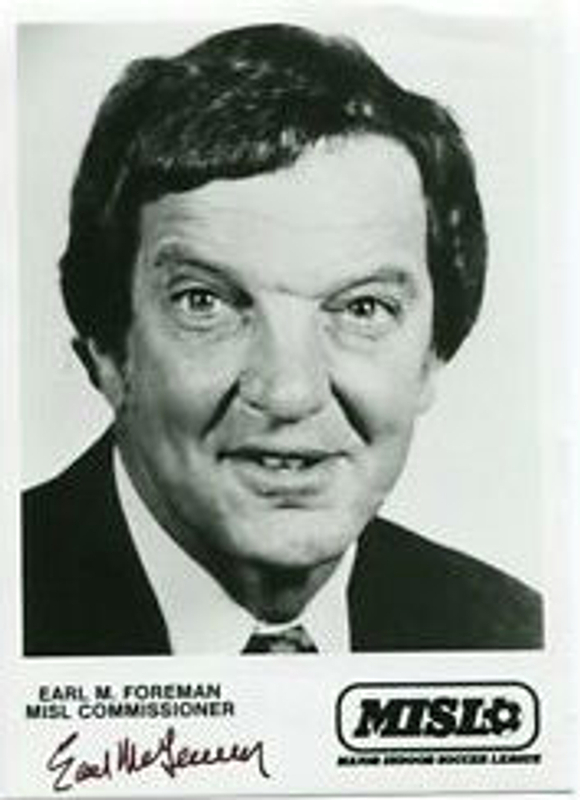 Foreman, a lawyer-turned-sportsman, previously had ownership at various times in the Baltimore Bullets, Philadelphia Eagles, and Oakland Oaks/Washington Caps/Virginia Squires (ABA). Under Foreman’s leadership the MISL blossomed into a 14 team league averaging 9,000 a game with nationally televised games on ESPN and CBS. While Foreman's MISL, then known as the Major Soccer League, went away after the 1991-92 season, the sport has endured. Two more iterations of the MISL and a number of other leagues followed, keeping the flames of professional indoor soccer flickering for over 40 years and counting. In 2011, Foreman was the only unanimous selection to the inaugural class of the Indoor Soccer Hall of Fame. In 2017, the Major Arena Soccer League introduced the Earl Foreman Awards to recognize the best off-the-field performances from across the league.